Which programming language is easy for kids to start with? Today, I think it is a lot easier for kids to learn how to code. One reason is the much more visual ways to program. I really recommend everyone to check out the free communitiy https://scratch.mit.edu. 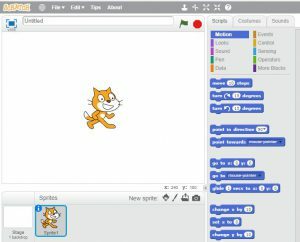 Scratch is a programming language that makes it easy to create interactive art, stories, simulations, games and then share those creations online. You don’t need to have any earlier experience about coding at all! How early can kids start to code? I think the answer is as soon as they now how to read. Scratch has been designed for kids in the ages between 8-16, but it is not limited to that. Age doesn’t matter. According to the info on the community’s website, Scratch is availble in more than 150 countries and it has been translated into more than 40 languages. And, there is an option for the younger kids too. There is a a free app called ScratchJr, which is recommended for kids in the ages between 5-7. One small drawback with that app is, that it is only available in a few languages, for the time being. I felt I had to test ScratchJr, so I downloaded the app and showed it to my 4,5 year old daughter. With very little help from me, she did in fact put together some code, and got the sprite (a cat icon) to move around. That is amazing! Why to teach kids about coding? Kids of today likely interract with new technology daily. They know how to send a text, how to search for information, how to take photos, how to play games and so on. Kids know how to use the new technology, but they don’t know how it works. I would like to compare this to being able to read. The ability to read, enables the possibilities to learn even more, i.e. you can read more books to gain more knowledge. Since we live in an increasingly technological and global world, I believe that our children will be asked to solve many problems that will require them to think for themselves and come up with their own answers. I think the skills to think creatively, work collaboratively and reason systematically will be really helpful in life. If you want to know more about my reflections on how to support your kids to be explorers for life, read my post: Explorers for life. Do you have any thoughts about this? I would really appreciate if you leave a message below! I love this post and your website in general. Brings a whole new angle to teaching our kids, especially about technology. The projects section is awesome. 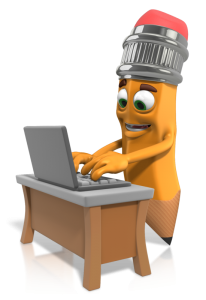 I have a lot of kids so will be sure to keep an eye on this site for new, exciting information. Thank you for your kind words! I will definetly add more projects in the future. Let me know if you try any of the projects. I would love to hear what your kids thought about them.